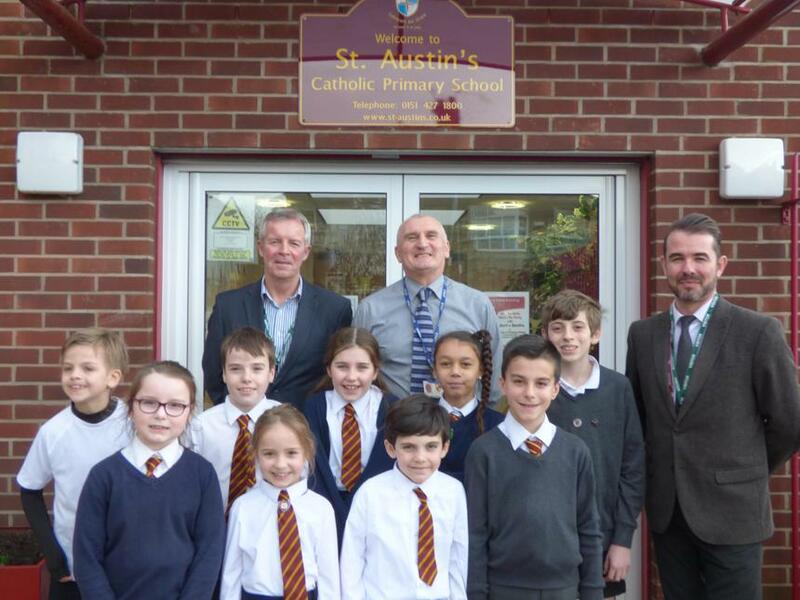 We were delighted to welcome three of our governors to share the pupil of the week celebration. Mr Melia, Mrs Devine and Mr Jones introduced themselves - they had been invited in earlier to sample some of the food made by our Early Years children. The pupils of the week told us how much they enjoyed the visit of our Chief Constable and also the bonus of meeting two of the police horses, Boris and Harriett! The Chief Constable gave out several messages especially about the dangerous parking in Riverbank Road. He also mentioned the importance of the correct use of social media which is a great thing if used responsibly. I shared with the children how I was able to use social media to keep in touch with my son when he was studying in America. Sadly some people do not use social media responsibly and we all agreed that this was not good and could cause great upset to many people. All of our pupils of the week said that they would continue to use social media and texting sensibly and keep their parents and/or teachers informed at any time if they ever felt unsafe. Our governors really enjoyed meeting the children and were delighted that their fantastic efforts were recognised.